2009 Photograph, Wat Si Pradu Ubosot Entrance, Pathum, Mueang Ubon Ratchathani, Ubon Ratchathani, Thailand, © 2014. This is very unusual architecture and is quite unique. 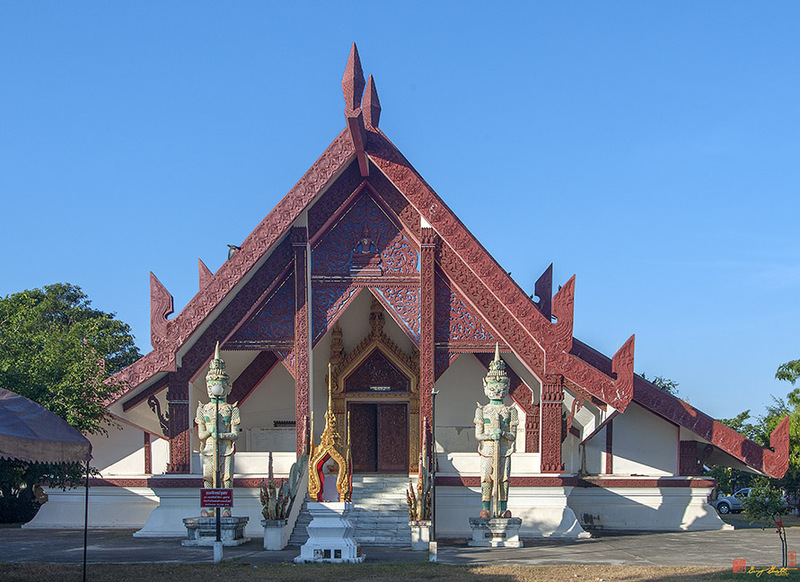 The beams at the peak of the roof are very stylized versions of the typical Thai temple Chofah roof finials.